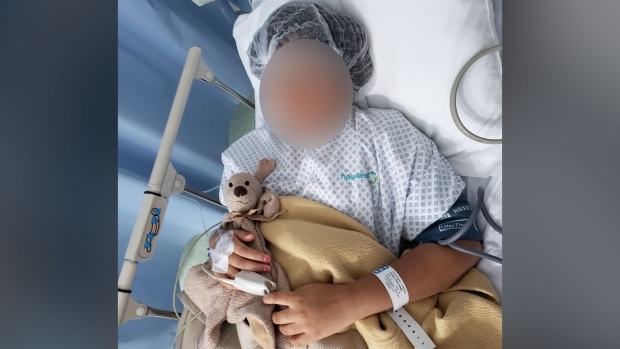 An Ontario family says they were shocked when their daughter needed an emergency appendectomy in Mexico – a surgery that came with a staggering $46,000 price tag. Fortunately, the family had purchased insurance mere days before the trip and their physician says the story serves as a cautionary tale for Canadian travellers who go abroad. Last week, eight-year-old Hannah began complaining about stomach pain during a family trip at a resort in Puerto Vallarta, her mother told CTVNews.ca. Minal and her husband, who asked that their last names be withheld as they deal with insurance, took Hannah to the resort’s on-site doctor. They were then referred to a local private hospital. “As parents, we were both really freaked out because we’re in a foreign country [and] we don’t speak the language,” she said, adding she was grateful her doctors spoke English. The Oakville, Ont. mother said they charged approximately $4,000 on their credit card to pay for the first CT scan. Hannah was quickly taken into surgery after doctors diagnosed her with appendicitis -- an inflammation of the appendix that can be life-threatening if the organ bursts. Minal called the ordeal a “big eye-opener” because nearly everything -- blood tests, nurse consultations, and even, choosing a hospital room -- needed to be cleared with their insurance company. The family typically doesn’t purchase travel health insurance, so she was relieved that before the trip, her husband purchased a plan that covered their daughter too. “I have to say, in retrospect, thank God,” she said, adding that she didn’t appreciate how much the ordeal would have cost without insurance, until they had returned back to Canada. “When they told me the price I literally fell onto the floor,” he said in a phone interview with CTVNews.ca from an Oakville, Ont. clinic. On Tuesday, he used Hannah’s story to warn his Twitter followers of the dangers of travelling outside of Canada without flight cancellation insurance and medical insurance. But the situation could’ve been a lot worse. MacDonald recalled an incident involving an eight-year-old patient who was diagnosed with appendicitis while on a cruise trip with his family near the Caribbean. He had to wait until they reached a nearby port in the order to be treated. “And by the time he had got to [the surgeon], he had a ruptured appendicitis,” he said. After two week-long stays in two different hospitals including one in Miami, the family ended up paying an “atmospheric” amount but MacDonald couldn’t recall exactly how much. Plenty of other travelling Canadians have had trouble dealing with insurance companies recently. In February, David Ronald was seriously injured in Costa Rica where he claims he was stranded for six days waiting for his insurer to find an open hospital bed in Canada. The 58-year-old underwent two surgeries in Costa Rica after a catastrophic fall left him with a shattered pelvis, broken arm and broken back on Feb. 15. He and his wife said their insurer told them no beds were available in Canada. He was later airlifted home.